Exporter of a wide range of products which include citicoline tablets, vitamin b complex injection, methotrexate medicines, anti rabies injection, liver capsule and anti inflammatory drugs. 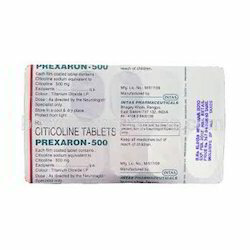 With the support of our experienced team members, we are able to supply an extensive array of high quality Citicoline Tablets to our customers. These tablets are tested by our skilled quality professionals on certain parameters to ensure their result and longer shelf life. 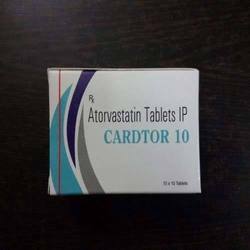 Our clients can avail these tablets from us in customized packaging as per their precise requirements at nominal market price within the promised period of time. 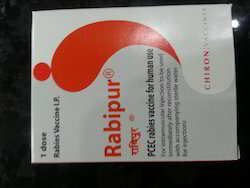 With valuable understanding of the relevant industry, we are counted as the top distributor, exporter and supplier of Vaccine Rabipur. 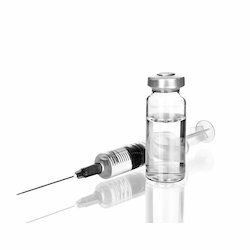 The offered vaccines are formulated by vendor’s educated experts by consuming quality assured chemical and current technology according to the market standards. 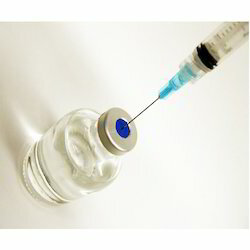 Along with that, the offered vaccines are well tested on different quality parameters. We are Leading Exporter and Dropshipper of Anti Inflammatory Drugs. These are formulated using fine grade raw herb material, that are procured from tested vendors of the market. It is effectively used to cure pain, inflammation. 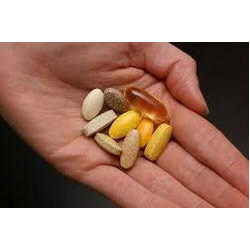 The Anti Inflammatory Drugs is attributed to long self life, fast effect. In addition medicine have accurate composition and has less side effect. 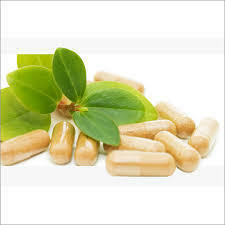 Moreover, our experts process these drugs with precise composition of high quality ingredients that ensure fast action. 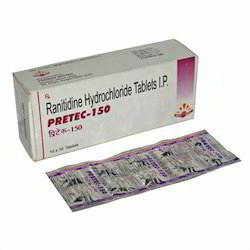 We have achieved a respectable position in the industry by offering a premium quality range of Pretec 150 Tablet to the clients. 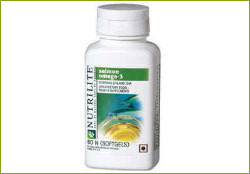 These products are highly recommended for their long shelf life and optimum results. These products are supplied to our clients at leading market prices within the specified time period. The demands for these products are high among our overseas clients as well. 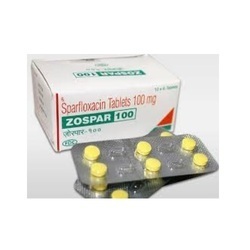 Our clients can avail from us a quality complaint tested range of Sparfloxacin Tablet. 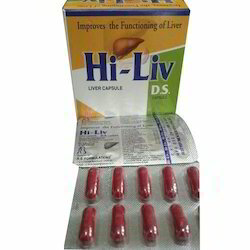 This drug is widely recommended by doctors and physicians alike as an effective . One must consult a doctor before consuming these tablets. Tested and clinically approved, this range is offered at industry leading prices. 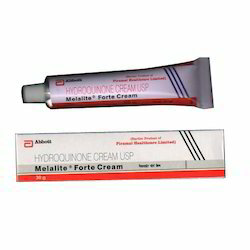 To cater the diverse demands of our valued clients in the best possible manner, we are actively involved in offering a large collection of Hydroquinone Cream USP. These are formulated under the strict supervision of our highly qualified professionals to render maximum customers satisfaction. Offered product is highly demanded by the customers for its perfect formulation and longer shelf life. Apart from this, our esteemed clients can use these products in melasma, chloasma, freckles, dark spots and post inflammatory hyperpigmentation. 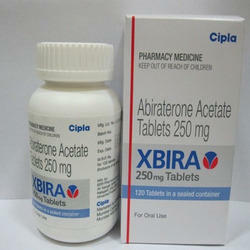 Our product range includes a wide range of Abiraterone Acetate Tablets such as Zytiga Tablets, Xbira Tablets, Abiraterone Acerate Tablets, Abiraterone Acetate, Samtica Medicines, Abiraterone Acetate Brands and many more items. 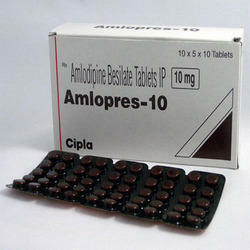 These tablets are provided to our customer at very reasonable price rates. 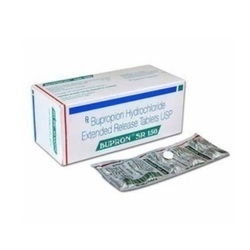 We are offering Bupropion Tablets to our customers. It comes in 2 strengths one is 150 mg and another is 300mg. What is Gefticip (Gefitinib) used for? 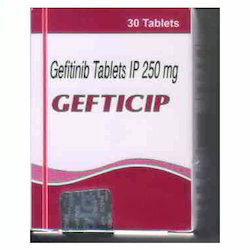 Gefticip (Gefitinib) is used in the treatment of lung cancer. It helps to treat non-small-cell lung cancer by blocking the action of an enzyme known as tyrosine kinase. Capnat - Capecitabine used for the treatment of metastatic colorectal and breast cancer as well as adjuvant colon cancer treatment.INDICATION:Capnat is indicated as a single agent for adjuvant treatment in patients with Dukes’C colon cancer who have undergone complete resection of the primary tumor when treatment with fluoropyrimidine therapy alone is preferred. Capnat is indicated as first - line treatment of patients with metastatic colorectal carcinoma when treatment with fluoropyrimidine therapy alone is preferred. 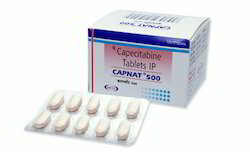 Capnat in combination with docetaxel is indicated for the treatment of patients with metastatic breast cancer after failure of prior anthracycline - containing chemotherapy.AVAILABLE AS:500 mg tablets.MANUFACTURE BY:Natco Pharma Ltd. (INDIA)NOTE:Capnat is a prescription drug and should be used under proper medical guidance and advice. 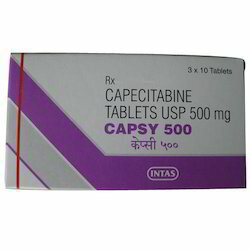 We are Leading Supplier and Exporter of CAPSY 500MG TABLET. 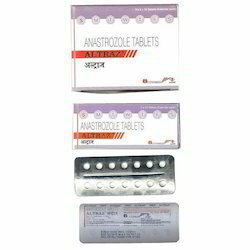 We have established ourselves as an eminent name in offering a vast array of Amoxil Tablets. 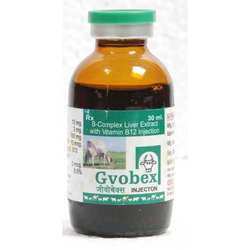 This product is used for the treatment of different infections caused by bacteria like bladder infections and ear infections. 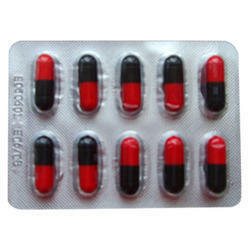 These tablets can also be provided as per the requirement of our valuable clients. Also, our customers can avail this array at very cost effective rates from our organization. 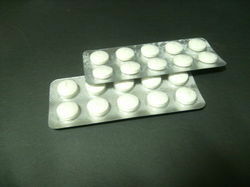 Furthermore, we make use of quality compounds to formulate these tablets. 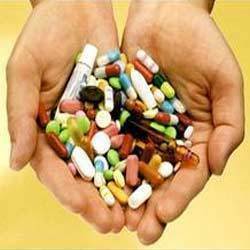 Offered by us is a prime range of Allopathic Medicines for our valued customers. These products can be availed by our valued client’s at most reasonable prices. Our offered products are made at our ultra-modern processing unit employing the finest quality components that is bought from reliable and trustworthy vendors of the market. 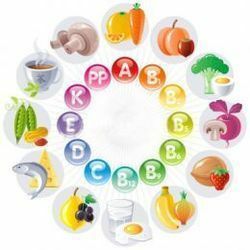 We are offer of Vitamin Supplements. These assure a natural, nutritional safe & effective source of energy booster in the body. These are available at the market leading prices. With oral use of creatine monohydrate, research has shown an increase in muscle strength and enhurance. 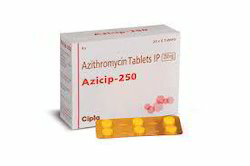 We are the most prominent company engaged in manufacturing, trading, exporting and supplying a wide assortment of Azicip Tablets for our precious clients who are situated all round the nation. 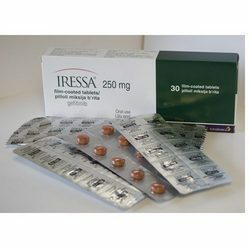 By keeping track with the latest market development, we are introducing high quality Iressa Tablet. 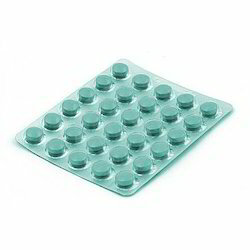 This tablet is used for the treatment of non-small cell lung cancer. Offered Iressa tablet is processed in utmost hygienic environment. Also, we check our offered Iressa tablet at our lab before dispatching to customers. 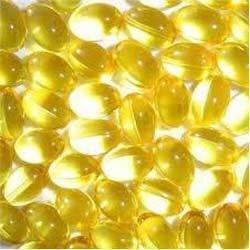 We are offering Cod Liver Oil Capsule to our customers. 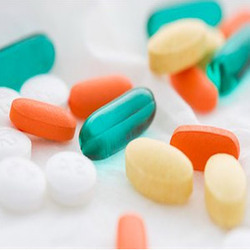 Looking for Healthcare Medicines ?